With two of Frank Loesser’s biggest hits returning in the form of simultaneous all-star concerts, last week New York experienced a rare treat for Classic Broadway lovers and the ClaBro-curious alike. Wednesday – Sunday, Encores! gave us the quasi-operatic romance The Most Happy Fella with Laura Benanti, Cheyenne Jackson, Shuler Hensley, Heidi Blickenstaff, Jay Armstong Johnson and… yeah, basically everyone The Craptacular has ever written about. Then, on Thursday, Carnegie Hall exploded with the musical comedy excitement of Guys and Dolls, starring Nathan Lane in the role that made him famous, along with Patrick Wilson, Sierra Boggess, Megan Mullaly, John Treacy Egan, Len Cariou and Judy Kaye. This week, Encores! 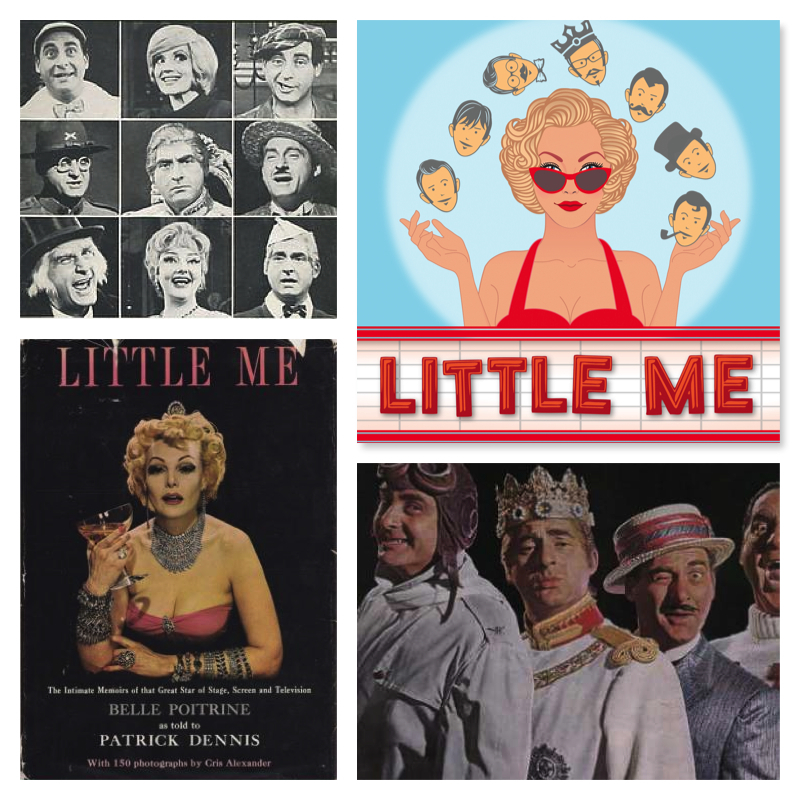 kicks off its 21st season with Little Me, a jazzy musical comedy — emphasis on comedy — which features a hysterical book by Neil Simon specifically crafted around the talents of original star Sid Caesar, who played seven different roles in the show. Christian Borle steps into all of those roles for the Encores! 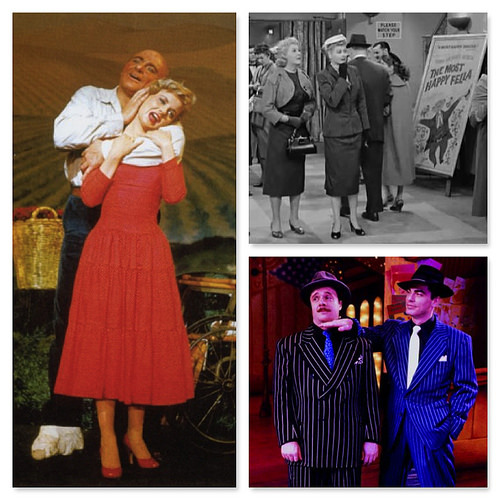 production, but before the curtain goes up at City Center, let’s take a look back at the history of this show. I’m not sure when gift cards became a controversial gift (are they lazy? are they thoughtless?) because frankly, I think they’re the actual best. Seriously. The only thing better than money, is money that comes with the explicit designation that it can only be used for a particular kind of frivolity. 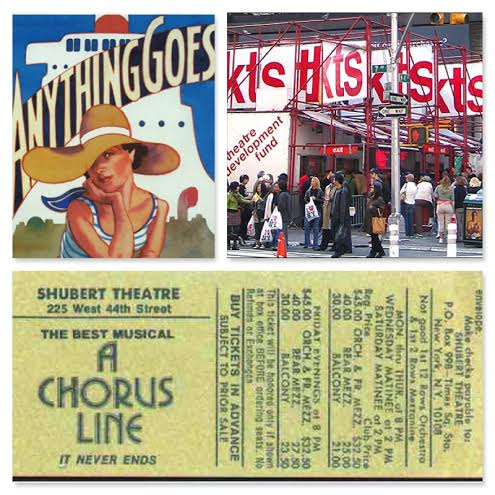 When I was younger, gift cards meant one thing: cast album binge! 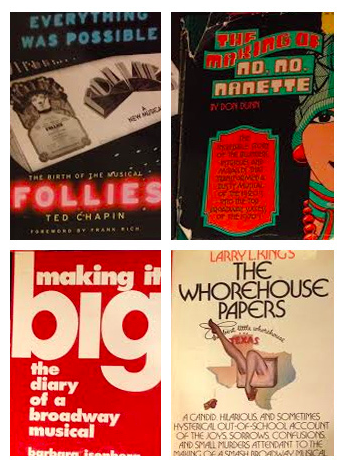 But as I’ve matured (and acquired a Spotify Premium account), I find myself more and more drawn to filling my bookshelves (and my Kindle library) with books about our collective favorite obsession: Broadway musicals. Actually, there is a particular sub-genre of books about Broadway that I love most, and that’s the Making-Of Chronicle. (This should come to no surprise, given that you are currently reading a column I write about the history of Broadway musicals.) Like a good Behind the Music episode, the best of these manage to break through the necessary conventions of the form to bring to life the dramas behind the drama and the personalities that gave birth to the shows we love – or occasionally, the shows we love to hate. Right now, the Making-Of Chronicle spotted most frequently on the subway is Glen Berger’s Song of Spider-Man. Certainly, Spider-Man: Turn Off the Dark has all the elements of a great making-of story: huge personalities, high stakes, and a disastrous journey from idea to opening night. I haven’t seen any version of the Spider-Man musical, but I will admit that reading the book makes me want to try to catch it before it closes on January 4th. Berger, the show’s book writer, acknowledges from the start that he can’t really create any sort of distance from the events he documents, and you may find his editorializing and finger-pointing exciting or exasperating, depending on your tolerance for that sort of thing. 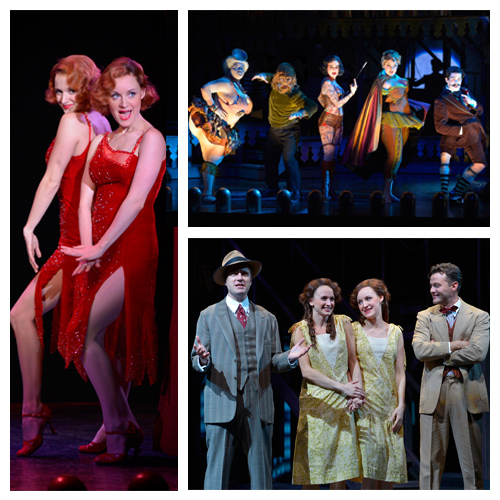 The Craptacular: Remedial Queens: Who Will Love Side Show As It Am? Every so often, a show that flops hard on Broadway leaves in its aftermath a corps of fans devoted to keeping its memory alive. With shows like Candide, Merrily We Roll Along, Carrie, and countless others, these vocal proponents ensure that while the show may have closed quickly, they will not be forgotten. In the case of the most beloved of these shows, including the three I just named, their fans go so far as to spend countless hours “fixing” them, figuring out how to solve the problems that caused the shows to flop in the first place. When this works, the shows can go on to great acclaim: Hal Prince’s revision of Candide ran for years in the mid-70s, Michael Grandage’s London production of Merrily We Roll Along won the Olivier Award for Best Musical, and Carrie‘s recent off-Broadway return spawned a series of regional productions which will surely give way to high school, college, and community theater productions for years to come. Even though Bob Fosse’s been dead longer than many of our readers have been alive, I can’t imagine that anyone here doesn’t have at least a passing familiarity with his work. 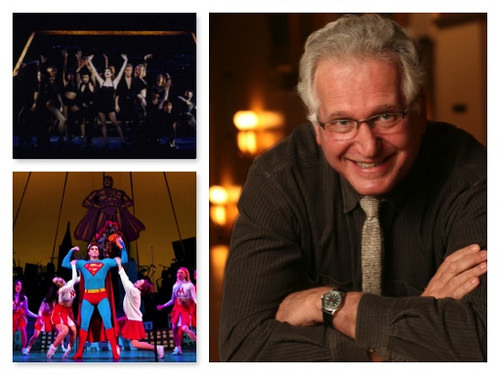 After all, two of his signature shows (Pippin and Chicago) are currently running on Broadway, each in a hit revival received even more enthusiastically than the original. And what do those revivals have in common? Both took great pains to create choreography “in the style of Bob Fosse,” including recreating Fosse’s own steps for big numbers in each – “The Manson Trio” (the dance break in “Glory”) in Pippin and “Hot Honey Rag” in Chicago. 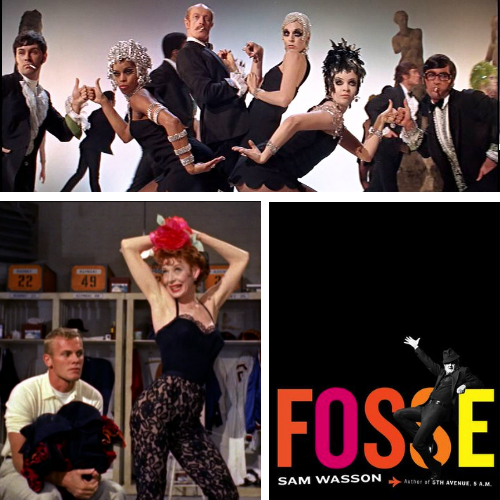 With no disrespect to the other great choreographers of Broadway, while original dances from De Mille, Robbins, and Bennett have been recreated, no one else created a style so recognizable and enviable that people today still strive to work (and market their work as) “in the style of” anyone other than Fosse.